The planning is done, the builder is selected, and the design is finalized – what’s next? The best way to answer this question is to show you. 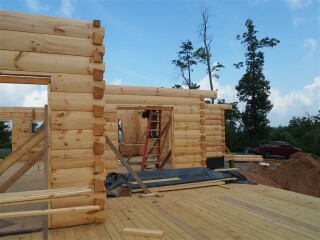 We have a current project that began just a couple months ago named Mountain Vista. 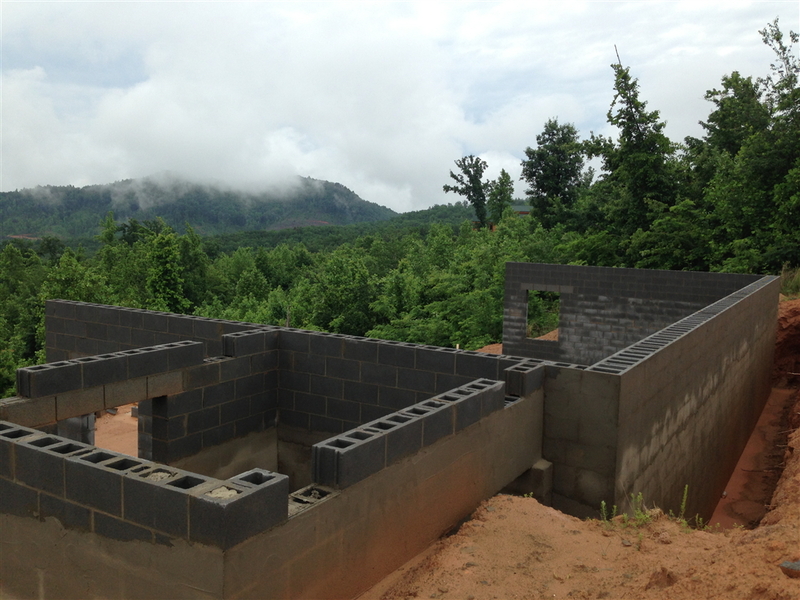 Over the coming months we will periodically update our website’s news section about the projects current status, projected schedule, and what the homeowners are currently selecting and working on. This will help you better understand what to expect during the construction process. 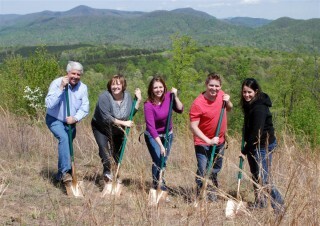 We first met the owners of the Mountain Vista project in the fall of 2011. 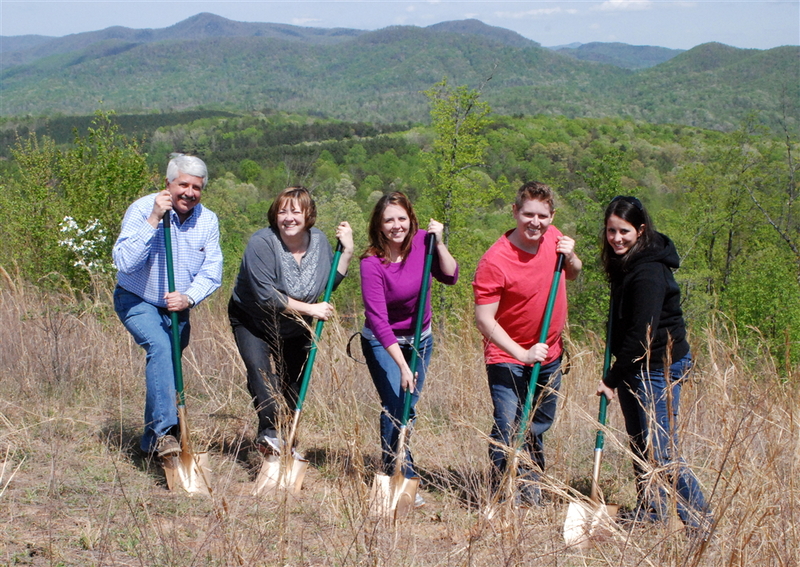 A year and a half later, we broke ground on their lot in May 2013. Since ground breaking, we’ve battled rain. A typical June / July has an average of 8 inches of rain. This year we have received 18 inches. 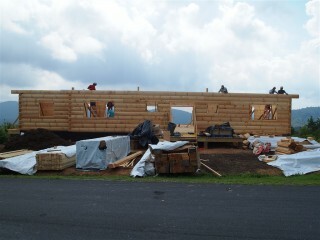 In order to recoup some lost time, we’ve had two crews simultaneously work on framing the home. 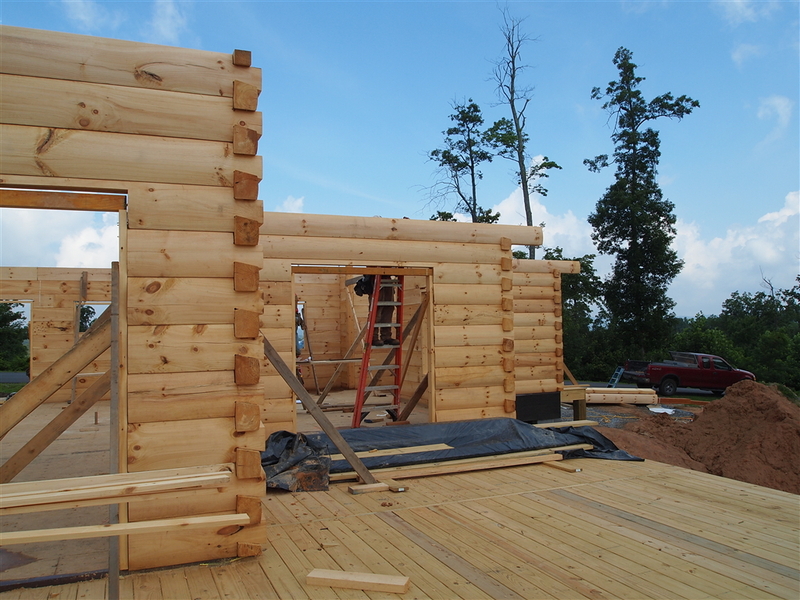 In the last few weeks, we’ve framed the basement stud walls, installed the 1st floor trusses, set the exterior log walls and installed the 2nd floor heavy timber system. The homeowners are currently working on selecting exterior window colors and will soon be selecting roofing shingles, stain colors, and exterior doors.